The strong narrow diameter Neoss ProActive® Straight Implant Ø3.25 offers solutions for minimal mesio-distal spaces or thin bone ridges based on the same design principles as all other Neoss® implants and the NeoLoc® connection. 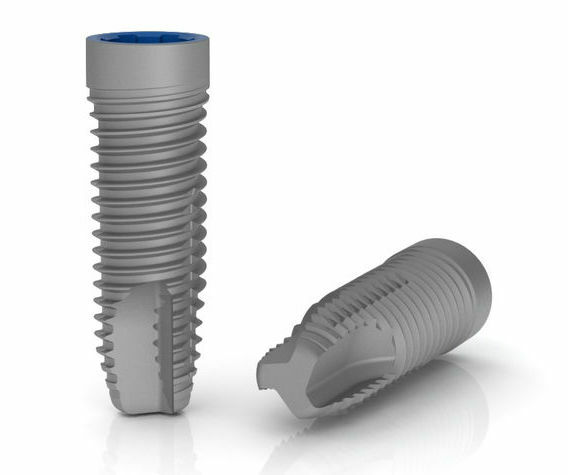 The Neoss ProActive Straight Implant Ø3.25 features a smaller dimensional version of the NeoLoc internal connection with a dedicated and extensive Ø3.25 abutment assortment. The Neoss ProActive Tapered Implant has a low surface roughness flange (Sa 0.4) designed to reduce marginal bone loss, while the rougher body (Sa 1.0) optimizes osseointegration. The low surface roughness flange allows implant placement subcrestal, bone level, or supracrestal. 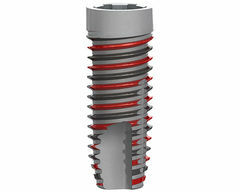 A major challenge in modern implant dentistry is to accomplish maximum stability in all bone qualities.3 Neoss Implants achieve this in a simple and predictable manner by the provision of slight conical implant designs in combination with a secondary cutting face4 resulting in the unique Thread Cutting and Forming (TCF) design. 1. Neoss data on file. 2. Gottlow J & Sennerby L, 2010. ‘Influence of surface and implant design on stability of five commercial titanium implants. A Biomedical study in the rabbit’, AO Meeting, Post 83 3. Renouard F, Nisand D. Short implants in the severely resorbed maxilla: a 2-year retrospective clinical study. Clin Implant Dent Relat Res. 2005;7 Suppl 1:S104–10. 4. Meredith N; A review of implant design, geometry and placement. Appl Osseointgrated Res 2008 6 pp 6–12. The Neoss narrow platform Ø3.25 implant is designed to satisfy clinical needs in narrow edentulous spaces and in the replacement of narrow rooted teeth. 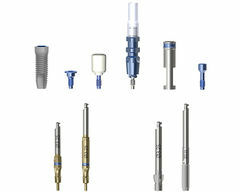 It has a specific implant inserter and its own range of prosthetic components. Use of the Ø3.25 implant is contraindicated in load bearing applications. 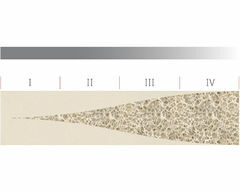 The bar illustrates the ideal bone density range for the optimal placement of Neoss ProActive Straight Ø3.25 Implant. For all procedure details please see Neoss Implant System Manual. The Implant Kit includes Implant, Cover Screw, Healing Abutment and Healing Abutment Screw. The healing abutment is 4.0mm wide and 5.0mm high. The prosthetic platform measures Ø3.5 with six internal rotational positions. 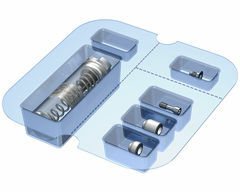 Due to the narrow platform, the Ø3.25 implant has a specific implant inserter and its own range of prosthetic components. Key Ø3.25 components and labels are colour coded in royal blue. In addition to colour coding the Implant Inserters are laser marked Ø3.25. The Countersink and Screw Tap are laser marked Ø3.25. The Neoss ProActive surface is created by a multistage blasting, etching and super hydrophilicity treatment. The surface roughness is Sa 1.0μm over the fully threaded part of the implant and a reduced, <Sa 0.4μm, over the flange (~2 mm) of the implant.